In a historic judgment by the honorable Supreme Court of India, it has been unanimously decided that the Right to Privacy will be granted as a Fundamental Right. The decision has been taken on the 24th of August, 2017; by a bench of nine judges whose head was Chief Justice J.S. Khehar and as per his rule, “Right to privacy is an intrinsic part of Right to Life and Personal Liberty under Article 21 and entire Part III of the Constitution". However, the battle has not been an easy one as there have been previous unsuccessful attempts on passing the Right to Privacy. Though the judgment has raised some controversies regarding the Aadhaar Card, it might actually be the beginning of a new India. What is the Right to Privacy all about? 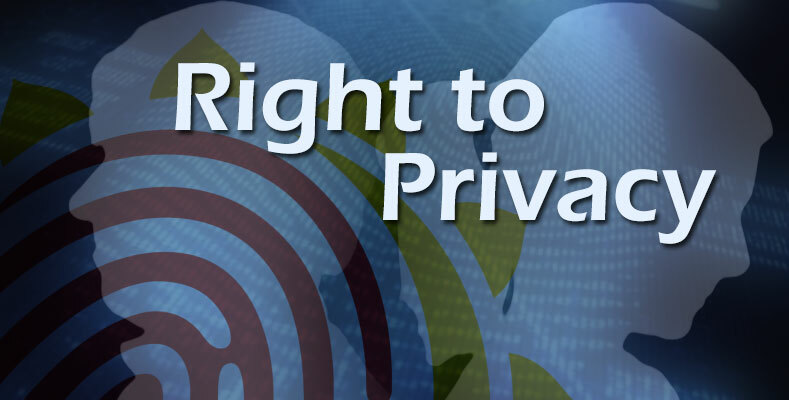 As per a general definition, the “Right to Privacy” is a constituent of various legal traditions that restrict government and private elements that threaten the privacy of an individual. The judgment was passed after a long and arduous debate and deliberation where the Right to Privacy was considered to be a vague and subjective subject, and therefore could not be concretized into a Fundamental Right. However, the Right to Privacy thus conforms to international human rights instruments which have been ratified by India in the past. The judgment also re-emphasizes on the fact that privacy is essential for the exercise of the other Fundamental Rights. Under the Right to Privacy Act in India, every citizen of any sector of the country will be able to exercise the right to determine when and the extent of their personal information would be communicated to others. The Right is not just limited to protect personal information but also confidential information in digital and electronic media. However, the enjoyment of privacy can be curtailed but only according to legal procedures as similar to the Rights to Life and Liberty. Does the Right to Privacy affect the authority of the government? The concept of the “Right to Privacy” was conceived due to a series of petitions filed by Justice K.S. Puttaswamy (Retired) who held the view that the Aadhaar Card violated the citizen’s privacy. However, the Aadhaar card has already become an inseparable part of our identity. To counter this, the nine-judge bench concerned passed an interim order which curbs the compulsion of the Aadhaar Card for benefits delivery. Therefore, legal experts conclude that the Aadhaar Card shall have to conform to the values of the Right to Privacy, which is now a Fundamental Right. However, no clear-cut decision regarding the same has been passed; however, a concrete decision would impact the implementation of the Aadhaar to a great extent. How will the Right to Privacy bring change to India? Freedom of Expression – The Parliament and the IT Department will need to take a decision regarding the extent of using a third-party’s personal details without their permission, or even when their security or privacy is threatened in any way. Defamation would also be an important point to consider, as courts will need to balance privacy, public policy and defamation in the course of a single case. Freedom of sexuality and privacy – The Right to Privacy also talks about Section 377, which criminalizes homosexual relationships between consenting adults. This much-criticized judgment would also need to be reviewed by the Supreme Court as it clearly violates the Right to Privacy to a great extent. There’s no doubt that the Right to Privacy will change the scene of legal procedures in India. Information sharing via social media and Aadhaar Card is still a topic to be debated about, and we have a long way to go before we see any concrete results. However, the first step has just been achieved in the victory of this act and will soon be tested in terms of understanding and application in the future.